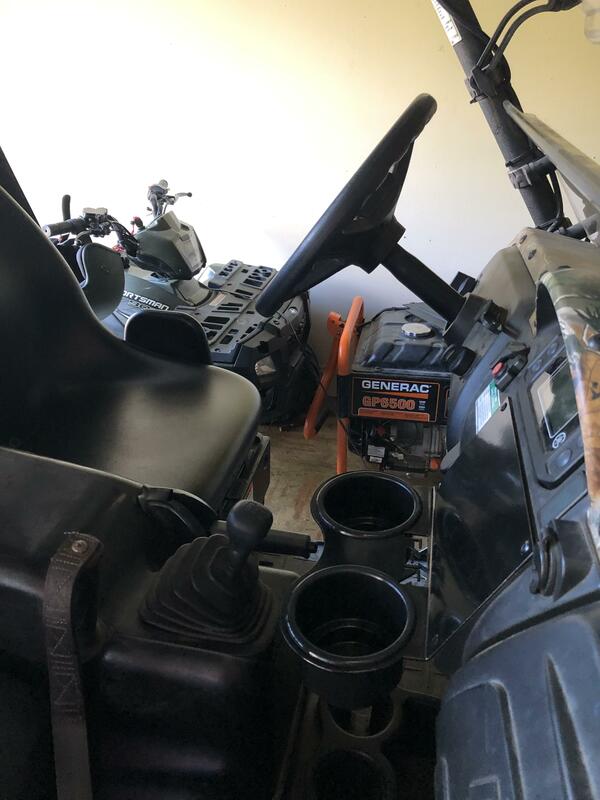 What have you done to your Rhino today and picture requests Have a new mod on your Yamaha Rhino or looking for that certain picture to decide what to do? Post it here! Wanted one that would hold large cups / yeti beer coozie. 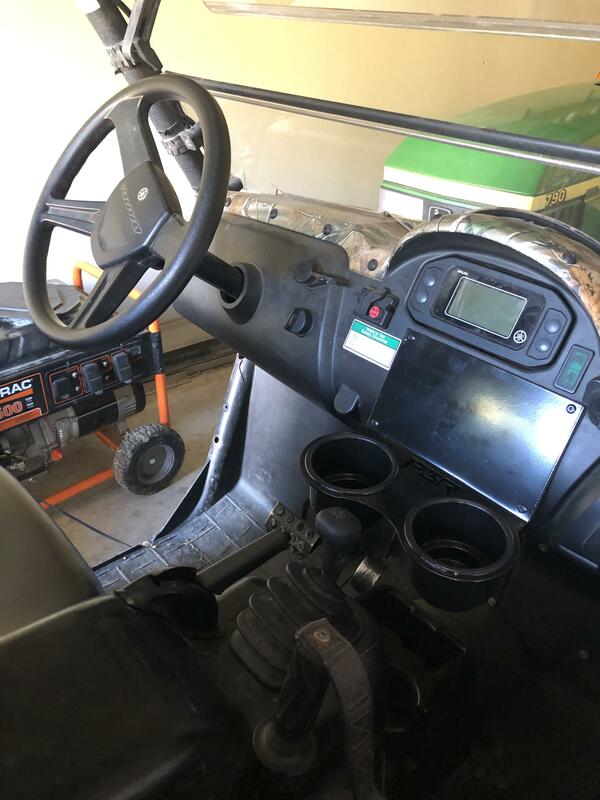 Removed the dash plate with the safety warnings and riveted the dash plate with the cup holder in. It’s a little tight when shifting to low, but I don’t drive in low often. 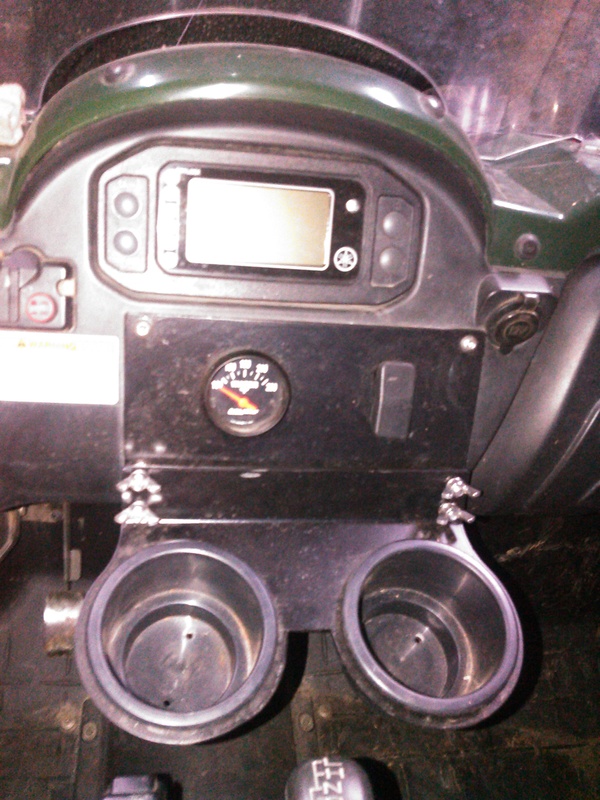 I put tie wraps around the actual cup holder, under the metal plate to keep them from flying off when pulling the rhino on trailer. "REMEMBER, SPEED KILLS, BUT IT WILL BE THE ONLY TIME YOU'LL DIE LAUGHING"
Ha. Something like that. In all seriousness, got em off ebay and they stated they could hold drinks over 3".